Frank Sanders Barnes Jr. was born into a telephone family. As a child he sorted bills for mailing and as a teenager he spent his summers working with crews installing lines. After receiving a degree in Electrical Engineering from Clemson College, now Clemson University, Barnes was commissioned as a 2nd Lieutenant in the Signal Corps. He served his company in the Pacific Theatre as an officer in the United States Signal Corps during World War II and rose to the rank of Major. Once returning to home soil, Barnes went back to his industry as an engineer. Over the next three years, he served in the capacities of commercial manager, accounting manager, plant manager and chief engineer at Rock Hill Telephone Company. He went on to become secretary in 1949, vice president in 1959, and executive vice president in 1966. He is currently serving as director, president and CEO of Rock Hill Telephone Company, and Fort Mill Telephone Company, and as vice president of Home Telephone Company in Mouncks, South Carolina. 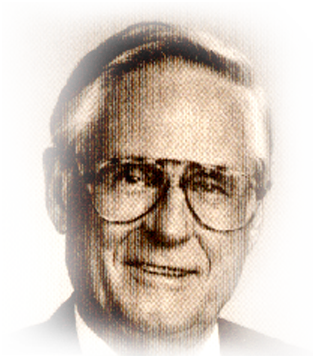 Under the leadership of Mr. Barnes, the Rock Hill Telephone Company has grown from 2,500 manual telephones to over 45,000 digitally switched and fiber interconnected access lines, Recognizing the contribution Frank Barnes has made to the Independent telephony industry, USTA bestowed the Distinguished Service Medallion to him in 1982. Mr. Barnes was and continues to be an active USTA member where he has served as national President and Secretary. He is also a member and past president of the Independent Telephone Pioneer Association. Mr. Barnes stands as a pillar to society. His dedication to education, church, medicine, culture and the youth of America has kept him extremely active.